2019 Best of the Best Voting has Begun! Please vote in your community & help ParkRidge Vision Specialists continue to be recognized. Please choose your community below, scroll down to Eye Care Provider, and write in ParkRidge Vision Specialists. Thank you for your support! 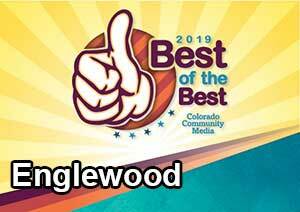 Best of the Best Eye Care in Lone Tree, Highlands Ranch, Centennial & Englewood! ParkRidge Vision voted the 2018 Lone Tree Voice “Best of the Best” award winner! We want to thank all of our wonderful patients who voted for us over so many other eye care professionals in our area. We were awarded the 2018 Best of the Best Eye Care Provider award for Lone Tree, Highlands Ranch, Centennial, & Englewood. What an honor. We are so pleased that our patients want others to know about us and the excellent care we strive to give you. Thank you from the bottoms of our hearts. ParkRidge Vision carries the latest designer eyewear collections from the brands you love and trust in our Lone Tree, CO showroom. We now work with Patch, so you can still see the ParkRidge eye doctor you love and use your out-of-network vision discount plan benefits! I have been a patient at Parkridge since they first opened here in Lone Tree for over six years now. I work nearby which of course makes it quite convenient but I am the type of patient who will drive across town for a higher standard of care and customer service. The fact that I can expect that at Parkridge is why I continue to go there exclusively over the years. Dr. Marlatt and Dr. Sancho have always taken care of me, even if on short notice when I’m having a problem with my eyes or when I suddenly run out of contacts. It’s nice to see them supporting each other as husband and wife as well as business partners the way they do. I appreciate that they they take the time to educate and empower me with the information I need to make my own decisions about my vision care. I also appreciate that they keep exceptional team members like Tyler, who’s been working with them since I’ve been a patient, around. Tyler is kind, professional and also informative. I highly recommend this place! Trezvon and Dr. Michelle Sancho did such a great job handling all my questions and issues. This was also the first time I had been to a place where they help you pick out frames, and are professionally honest. They are welcoming and friendly. I can't say enough great about this place. I will continue to go here for my glasses and eye care needs for sure. With a pending move out of state, both my husband and myself have already decided that we will be making the annual trek back to Colorado for our eye exams. Since my past lasik eye surgery in 1999, I've been settling for countless under-performing contacts. It wasn't until I went to my first appointment with Dr. Sancho at ParkRidge Vision Specialists that my search was finally over! The amount of time, attention and excellent medical knowledge given to me has been almost unbelievable. Even in this dry climate, Dr. Sancho has me in contacts and I've never been able to see better. She and her staff are phenomenal in every single way. Without a doubt, the very best source for your vision at its finest. Best practice I've experience. Thanks to Dr. Sancho and staff for all the efforts and genuine kindness given to me on every visit. I will definitely see you next year! Dr. Sancho is meticulous in her work. No stone gets unturned and her follow through is consistent. It's so hard to find conscientious medical providers today and I trust her implicitly. Could not be a more professional office! 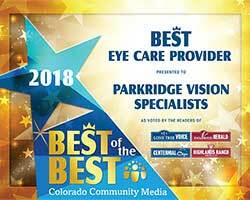 ParkRidge Vision Specialists is simply outstanding. The entire staff is helpful and friendly and the appointment was on time and efficient. Dr. Marlatt is the best; knowledgeable, thorough and truly interested in and focused on each individual patient. Thank you! You guys were amazing! Been wearing glasses for 16 years and contacts for 12, I have never found such helpful and friendly service from an optician's office. I will definitely stick with Park Ridge from now on. I really appreciate you all! I have gone to Dr. Marlott for years. My husband goes to Dr. Sancho. They are both wonderful, thorough, honest, respectful. I would recommend either one of them to anyone. Do you need to see a specialist near you? Drs. Marlatt and Sancho can help you find the best ophthalmologist in Parker, Highlands Ranch or Littleton for your specific needs, as well as provide co-management with your ophthalmologist including pre and post operative procedures and exams. Maps and directions to our Vision Clinic in Lone Tree. 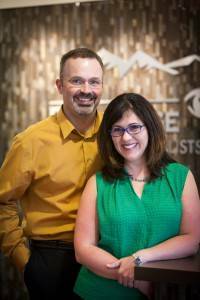 Meet our Optometrists Dr. Marlatt and Dr. Sancho. At ParkRidge, our doctors and staff are committed to providing personalized service, and care to all our patients throughout Lone Tree, Castle Rock, Littleton, CO, Parker, CO and Highlands Ranch. Our staff, Dr Michelle Sancho and Dr. Jeff Marlatt look forward to having the opportunity to care for your needs, including finding you the perfect pair of glasses. Our eye doctors also specialize in hunting eyewear and shooting glasses for the Denver area.